Janet Hunter contacted ScooterSwag to tell us about a Kindle book she’s written. It’s about being a scootergirl in 1980s Britain. I took a peek and it looks really interesting. And it’s just $3.70 on Amazon! “Being seventeen isnâ€™t easy. Itâ€™s so hard finding out who you want to be. Annie knows. She wants to be a scooterist. But is becoming one as easy as buying a scooter and attending a few rallies? Annie is determined to find out. With her up-for-anything friend June tagging along as vital support, Annie enters the world of scooter clubs and Northern Soul music. At first she thinks she wants to be one of the boys but when she discovers that this isnâ€™t going to happen she sets out to define her own role, finding love and influence along the way. 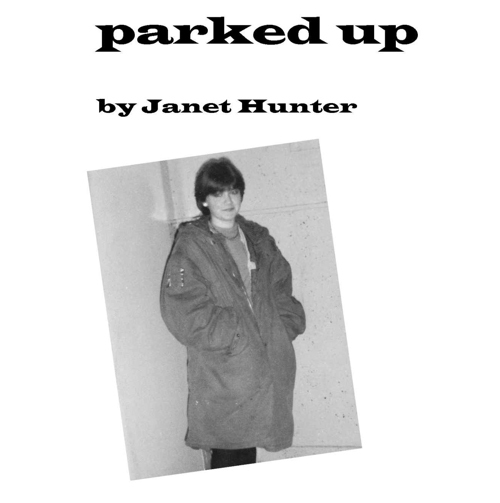 ‘Parked Up’ is a funny and heart-warming story about human relationships between a group of kids on the cusp of adulthood united by their love of Vespas and Lambrettas.